Hello C'est Magnifique friends! 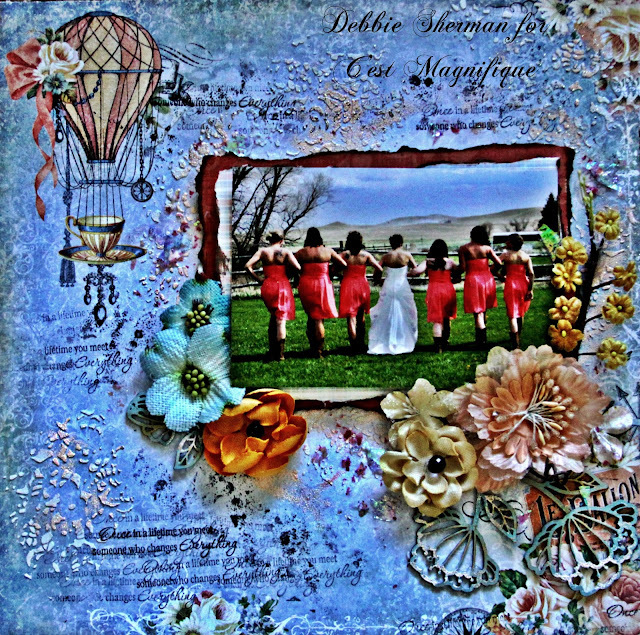 Debbie with you today sharing my January C'est Magnifique kit projects. The January kit is loaded with so many beautiful papers and embellishments. The paper for this month is Autumn Slendor by Blue Fern Studios. I used the Main Kit, Embellishment Add on, Flower Add on and the Mixed Media Add On. I used the flower Add On and The beautiful Ginger Poppies Chipboard to give the flower cluster a little more dimension and interest. I wanted to keep the photo on this layout the focus point so I simply built the background with modeling paste, stencils, and the embossing powder included in the Mixed Media Add On. The banner was made with the Embellishment Add On and the goodie bag that comes along in the Embellishment Add On. For this next layout, again I created the background using modeling paste and a stencil. Then embossed them with the embossing powder included in the Mixed Media Add on. The Flower Cluster was created with The Flower Add On. 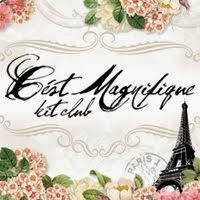 Thanks for stopping by the C'est Magnifique Blog today! Be sure to stop by tomorrow for more inspiration from the Design Team. We hope you are playing along with our challenges and a chance to win a prize package! 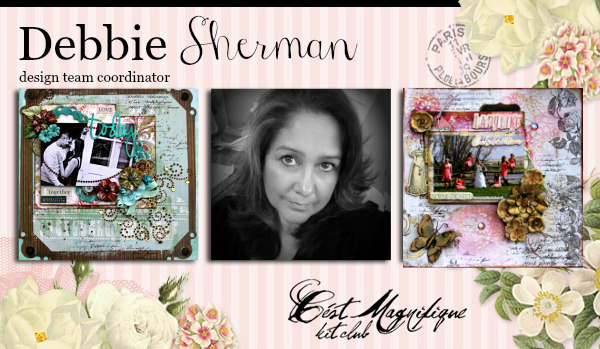 Gorgeous pages, Debbie - I love them all - you do amazing work!